Epigenetics of Breastfeeding: 4 Diseases and Disorders That Breast Milk Could Protect Against | What is Epigenetics? Many people believe that breastfeeding is the best gift a mother can offer to her child. It has lots of benefits, not only because breast milk contains the right amount of nutrients, but also because it’s packed with lots of antibodies and biologically active compounds that play a key role in boosting a baby’s immune system. We have already seen how maternal nutrition and lifestyle can shape the development and future health of a baby via epigenetic mechanisms. Among many postnatal factors that can contribute to determining lifelong health and disease through epigenetic mechanisms, infant feeding plays a key role, especially breastfeeding. Breast milk has been shown to protect newborns against many diseases commonly experienced during the first year of life and research has begun to make connections between the benefits of breastfeeding and epigenetics.1 In the spirit of World Breastfeeding Week, we’ll explore the health benefits of breastfeeding, the possible epigenetic effects, and its potential ability to protect against four major diseases. Breastfeeding has been connected to numerous health benefits and reduced disease risk for the child. Human milk confers unique nutritional and non-nutritional benefits, enhancing a child’s growth and development, as well as overall health, not only in early life but also for the long-term, and offering prevention against some diseases. With these health benefits in mind, researchers have been exploring the potential underlying epigenetic mechanisms that may be linked to the benefits of breastfeeding. An epigenetic mechanism is a biochemical alteration to the DNA that does not change the sequence but does influence gene expression. 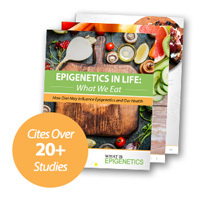 These epigenetic alterations are greatly influenced by the environment and are heritable.4 The major epigenetic processes are DNA methylation, histone modification, and chromatin remodeling. When babies are breastfed, human breast milk components promote a healthier gut bacteria, which regulate the expression of genes involved in digestion, barrier function, and production of secretory IgA (sIgA). sIgA is the most abundant class of antibody in our organism and plays a crucial role in the immune function of mucous membranes and protection against pathogenic organisms. Moreover, sIgA positively influences the gut microbiota composition. Breastfeeding adjusts the composition of the gut microbiota, which then impacts DNA methylation. Breast milk could epigenetically protect a child from immune-related diseases by influencing the gut microbiota. Breastfeeding has been shown to help prevent infections and other immune-related illnesses, particularly gastrointestinal infections and acute otitis media, even if the child has genetic susceptibility.3 The proposed mechanisms are similar to those for NEC, where the gut microbiota epigenetically mediates the expression of proinflammatory cytokines genes. Overall, research suggests that breastfeeding may be able to epigenetically provide resistance against disorders of the immune system by influencing the gut microbiota, which influences proinflammatory genes. Obesity is probably the disorder with the most remarkable evidence about nutritional programming and the protective effects of breastfeeding, due to a wide range of mechanisms, including epigenetic regulation.13,14 As we know, obesity is a multifactorial disease – it’s the result of the interaction between genetics, environment and individual lifestyles, including feeding practices during the early ages of life. Although more research is needed, obesity risk, which is clearly linked to nutrition and early-life diet, could be epigenetically stifled in children who are breastfed. Benefits of breastfeeding are not only limited to the breastfed child. Mothers can have a deep and relevant impact on their own health just by nursing their babies. Further studies are needed to determine if breastfeeding might reduce a woman’s risk of breast cancer. It is not very clear yet, but the evidence so far has shown an inverse correlation between breastfeeding duration and breast cancer risk, even in women who carry deleterious mutations in the BRCA1 gene. Despite the potential role of breastfeeding and breast cancer prevention via epigenetic mechanisms, further studies are needed to clarify exactly how, or which specific components of human milk are involved. It is clear that breast milk may not only improve neonatal nutritional status but could also optimize the health of future generations. It’s important for women to be educated on the numerous benefits of breastfeeding. 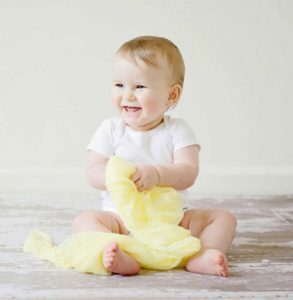 Additional epigenetic studies will continue to uncover the potential underlying biological mechanisms which may help explain how breastmilk could epigenetically protect a child from developing diseases as he or she grows older. It is also important to note that breastfeeding can be considered a cheap, accessible, and efficient tool to impact public health. We are hopeful that in the near future we may see more evidence supporting the power of breastfeeding. Learn more about World Breastfeeding Week, held from August 1st-7th.